We’ve packed Black Lion Chests with a fresh assortment of items. Each chest is guaranteed to contain a redeemable Black Lion Statuette, a seasonal item, and two common items. Chests also have a chance to contain an uncommon, rare, or super-rare item. In this update, you have a chance to find weapon skins from the Plasma and Tempest Weapon Collections, a Mini Awakened Mounts Pack, a Jeweled Scarab Package, and much more! The Guaranteed Wardrobe Unlock, Guaranteed Weapon Unlock, and Guaranteed Armor Unlock now include items released in Guild Wars 2: Path of Fire™. 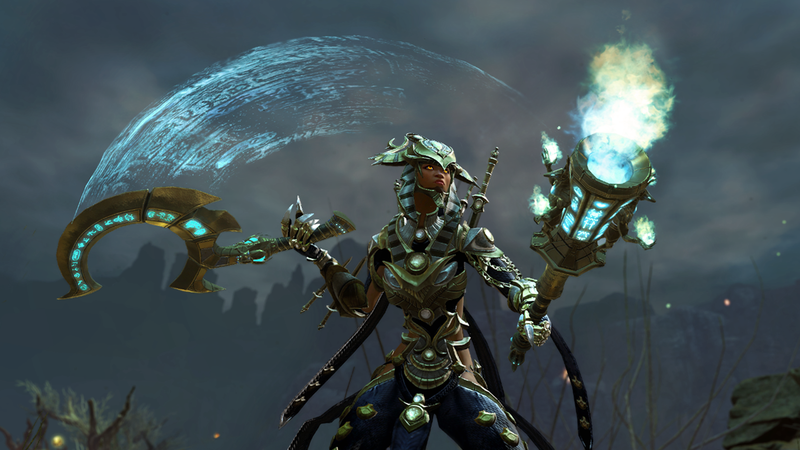 Black Lion Weapons Specialists are offering intricate golden weapon skins in exchange for Black Lion Claim Tickets. They’ll retain their luster even after centuries of slaughter. No matter what you’ve heard, there’s no such thing as a Black Lion Lockbreaker. Use this handy box to select the keys of your choice, and technically you won’t have to break any locks at all. Do your wrappings need a refresh? 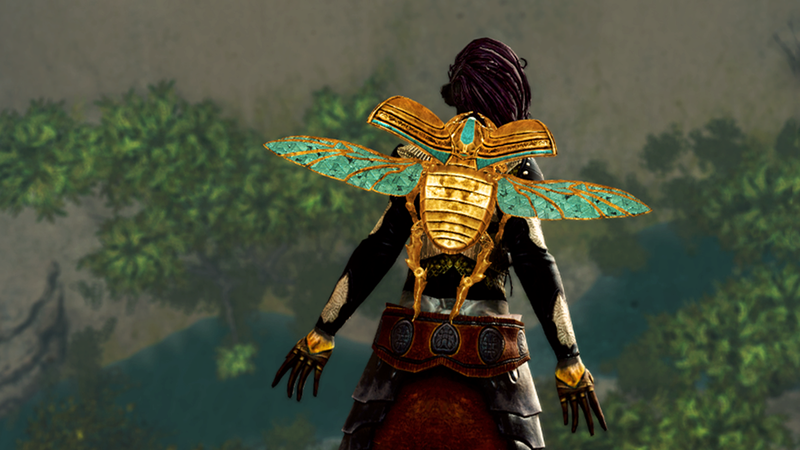 Open this kit to receive one of 25 dyes, with a chance to find six exclusive new colors. All of them are appropriate for a funeral. If you’ve unlocked the maximum number of tabs in your bank, you can now purchase up to three additional Bank Tab Expansions. Visit the Black Lion Trading Company in game throughout the week for returning weapon skins like the Arcane Marksman Rifle. We’re rotating our selection of unlimited gathering tools as well, so keep an eye on your favorites.